A few months ago my mom was going through her books and she found something extraordinary. She immediately texted me a photo of the cover and I lost my entire mind. She didn't even open it to see what was inside, she just took a photo of the cover, told me it was a book she bought in the 70s, and that she knew it was something I would be interested in. HA! "Interested" is the biggest understatement in the history of time. We were going to be seeing each other a few weeks later, and I told her she absolutely HAD to bring this book with her. I needed to see what was inside. I needed to hold it in my hands and discover what magic lay within its pages. What on God's green earth was Native Funk & Flash? Guys. Nothing could have prepared me for the experience that is this book. I've photographed a few pages to give you a sense of what you're in store for, but I recommend you get your hands on a copy and check out all it has to offer. As my mom and I read through this book we were both weeping from laughter. My mom kept exclaiming, "I can't believe I bought this book!" And I kept bellowing, "I'm soooo glad you kept this book!" 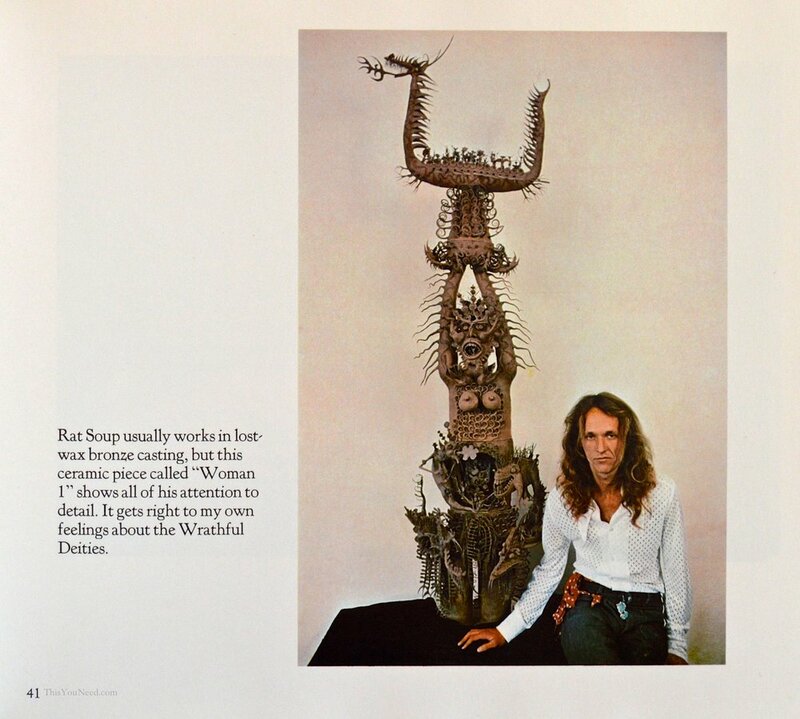 There is so much to say about the captions in Native Funk & Flash that you are often at a loss for where to begin. I will say though, I went to some pretty progressive K-12 schools, and I wouldn't be surprised if "ingenious drug-crazed peace-and-love tactics" were in their mission statements at one point or another. Apple Cobbler quickly became our favorite character in Native Funk & Flash. 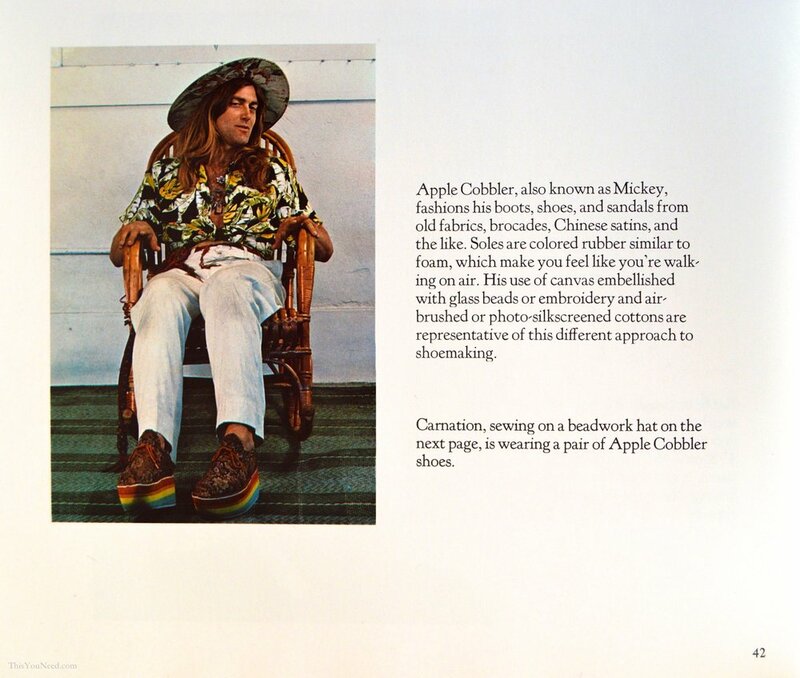 Many, many artists featured in the book are wearing Apple Cobbler footwear. I think my obsession with him began because this was one of the first pages I opened to in the book, and I immediately dissolved into tears with laughter at the line, "Apple Cobbler, also known as Mickey..." From then on, with every page, I became more and more of an inconsolable, hyena-like mess. Another in the series I like to call, "Captions I Tried To Read Aloud But Couldn't Because I Was Laughing So Hard I Stopped Breathing." On the page opposite to this one it says that Scrumbley had a performance in New York, but "New York wasn't ready for him." 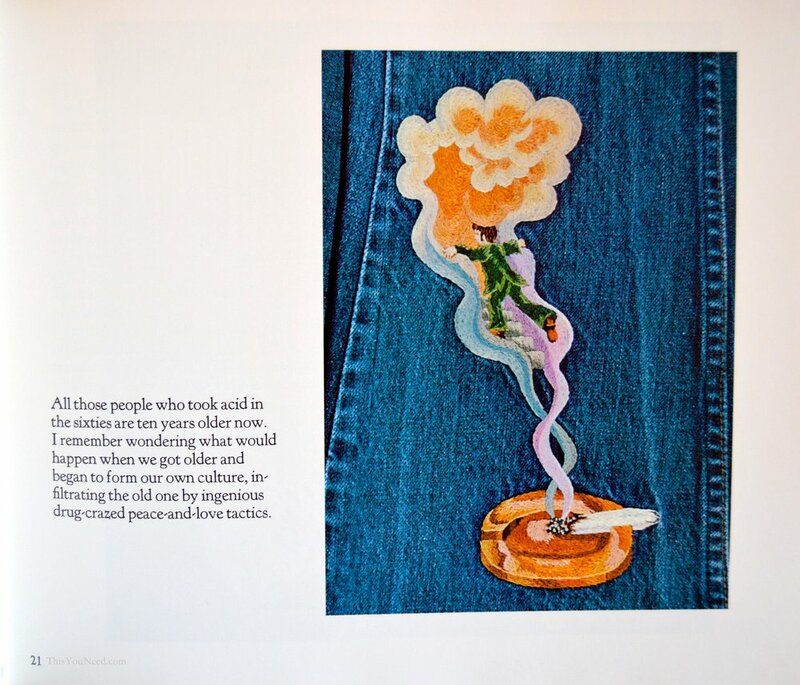 "This is all well and good," You may be thinking, "But how am I going to get my paws on such an amazing, groundbreaking work of journalism that was published in 1974 in San Francisco and probably never seen again?" 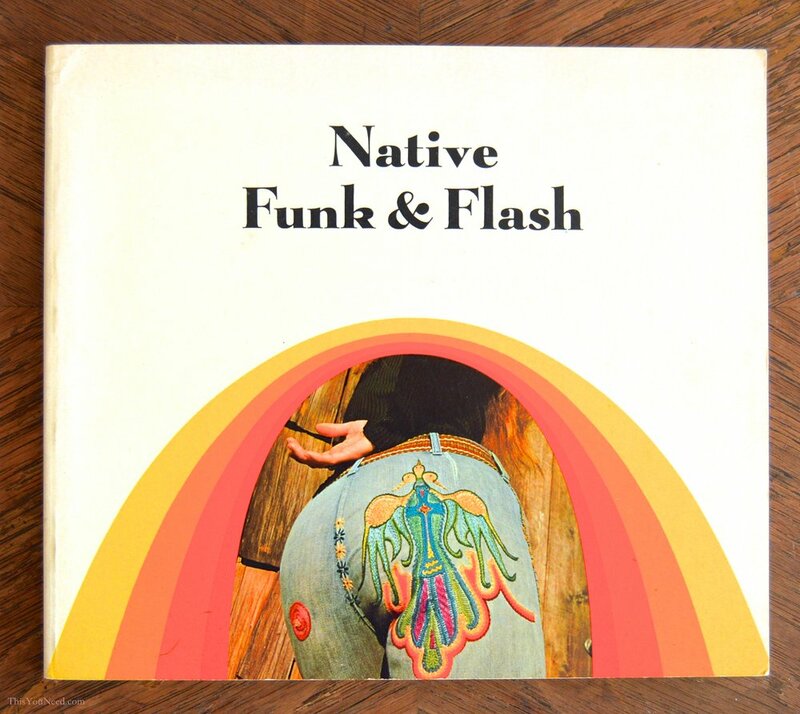 Well, my friend, Native Funk & Flash was RE-PUBLISHED in 2013, and you can buy it on Amazon for $34. (There's even a Kindle edition!) You can also get used copies all over the place (there are currently 40 of the 1974 edition available on Amazon for around $30). This book will bring you so much joy, I cannot recommend it enough. Who doesn't need a little more funk and flash in their life, am I right?